sometimes in vfx world you need volume rays in a shot. 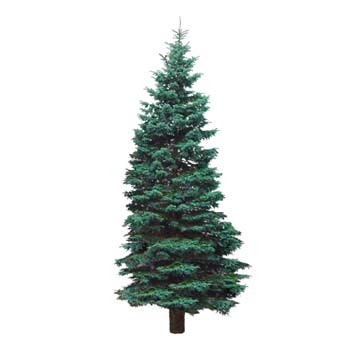 it could really difficult to render this in 3d application like maya or houdini. 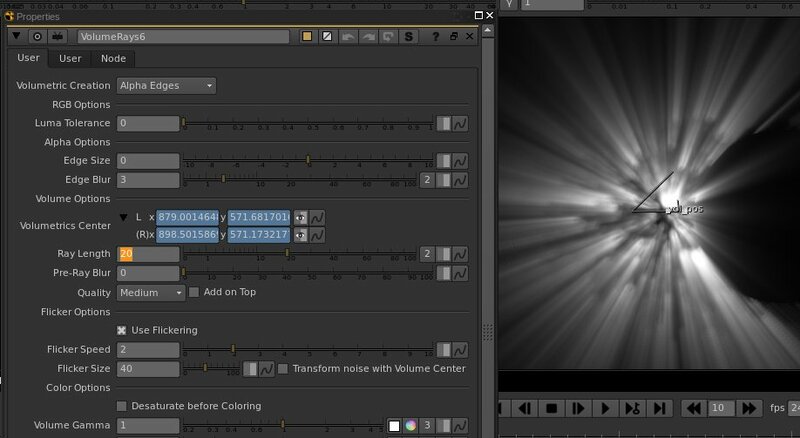 there fast and easy to use volume rays in nuke. with few tricks you can make them work in stereo. 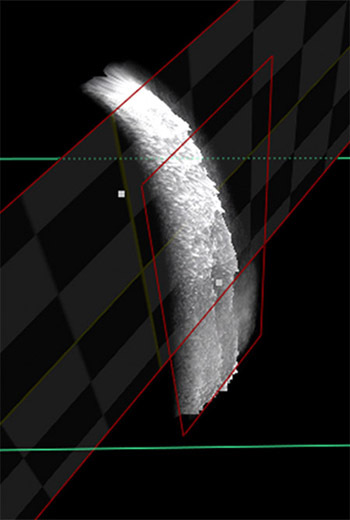 first you have to do, render white retangle in 3d app with your shot camera. in nuke you can track for each eye (left and right) the corner of the retangle. this way you get a perfect motion path. 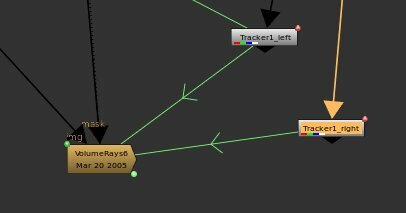 with ctrl-click you connect the tracker information to left and right center transform of the “volume ray” node. this will give correct stereo volume rays. using inverted mask from correct rendered character / forground elements —> the volume ray node give good stereo holdouts. if use noise node in nuke to feed you feed volume rays. you connect the tracker-node to tranform-settings of you noise. it will give a stereo approved noise. 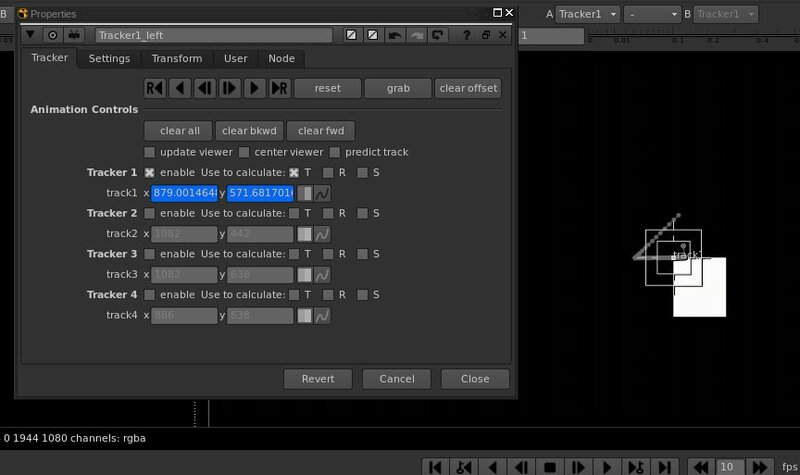 you can animate the noise in nuke, this will give almost realtime feedback volume ray animation. see example movie. its much faster way to work, if you need simple go rays.